House name when built was “Monica”. 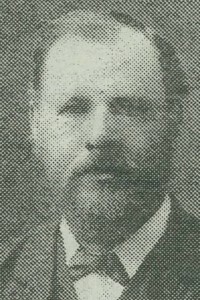 Henry Robert Ginn, who was living at Hollydene on Arbury Road at the time. The first occupant was Frederick William Nadal, a journalist for the Cambridge Daily News. An active member of the community as: Hon Sec and Treasurer to the Goodfellows; Council member of the Federation Cricket League.